Watch it dance in mid-air ! This amazing handkerchief will jump around in your hands and fly through the air, completely under your control. 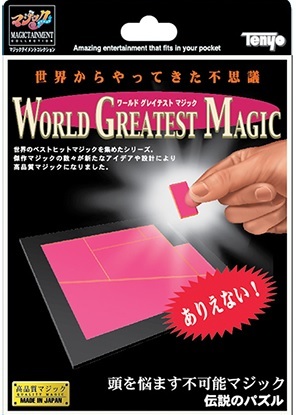 No threads are used in this trick, and it is extremely easy to do The original item by Steve Dusheck - together with many unauthorized copies of this effect - has been a continuous best-seller at magic shops around the world. Tenyo has obtained permission from Steve Dusheck, and is proud to newly release this trick You'll have the handkerchief dancing in no time A delight to watch and fun to perform!